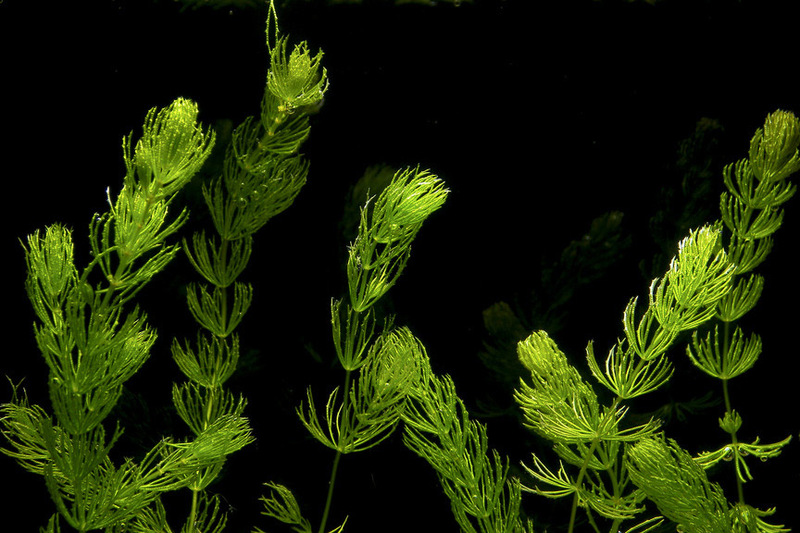 Exotic species such as Hornwort, Curly Pond Weed and Oxygen weeds have invaded many of New Zealand fresh waterways and crowded out native species altering the balance of the ecosystem, which is often the cause of cyclic eutrophication. 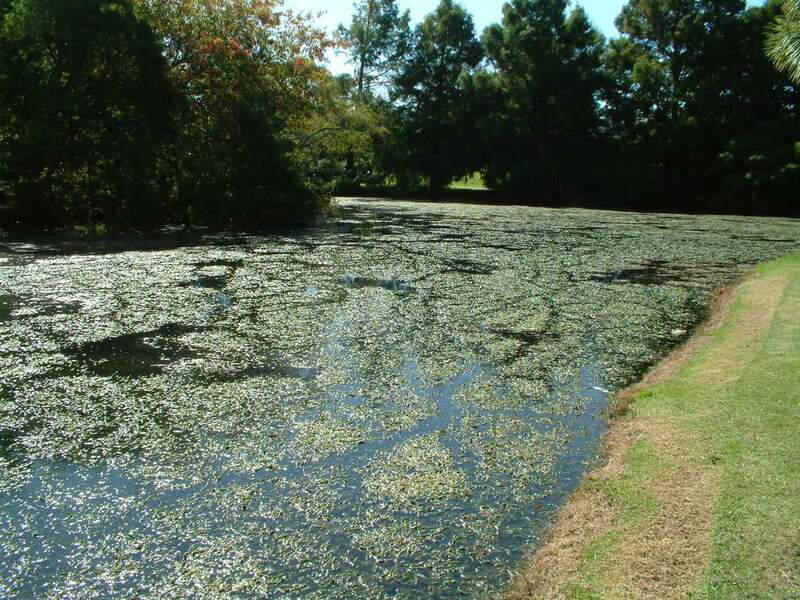 Eutrophication is the process of nutrient enrichment of waters which results in the increased production of toxic algae’s and aquatic macrophytes – deteriorating water quality so that it is undesirable and interferes with the functions of a waterway. Waterways suffering from cyclic eutrophication suffer repeated rounds of excessive weed growth which releases nutrients into the water, this then creates conditions for the growth of toxic blue/green algae which then causes a ‘collapse’ of the water body. The results are a deterioration of water quality, unpleasant odours, the loss of native flora, fauna and fish, ultimately resulting in the waterbody becoming a public health hazard. 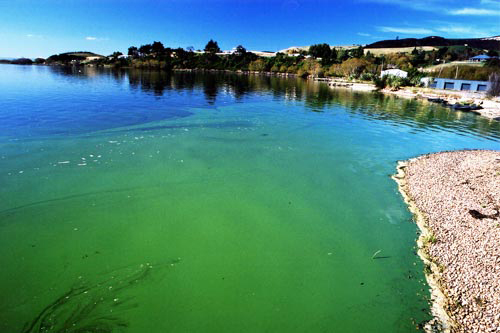 Many of New Zealand’s fresh waterbodies are suffering from cyclic eutrophication such as the Rotorua Lakes. 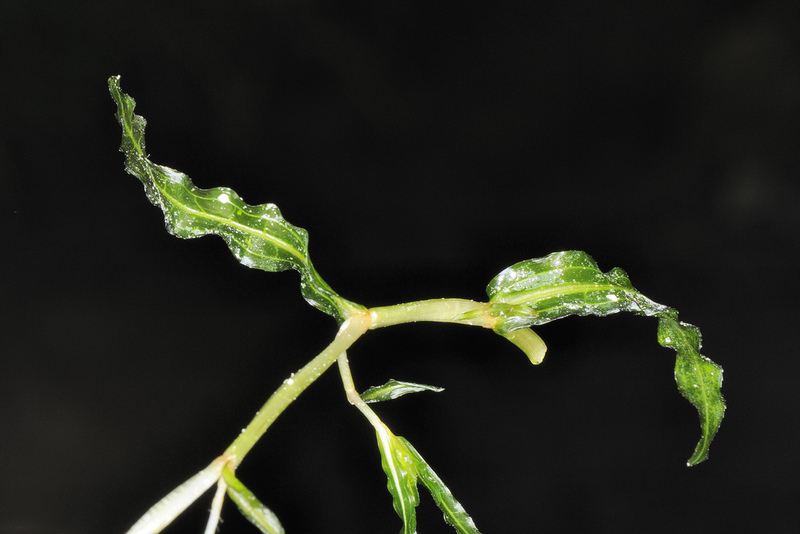 All waterbody types such as Lakes, Rivers, Dams, Ponds, Storm-Water Sites, Recreational Waterways, and Farm Drains can all be affected by pest aquatic weeds. However all can generally be controlled by the use of our fish! If you need help identifying a weed species, take a photo and email us . We would be happy to help! NZWR utilizes the herbivorous species of fish known as White Amur for the eradication and management of aquatic pest weed species. Although White Amur are an introduced species they are classified as a restricted fish, not a pest fish. As they cannot breed in NZ waterways, do not bottom feed like Koi Carp and only eat aquatic vegetation they pose no risk! White Amur provide a simple, cost effective, long term solution (generally living for around 15 years) for combating weed growth. With effective management of White Amur stocking rates, pest weeds can be controlled and/or eradicated from water bodies in a timeframe that is suitable to the objectives and budget of your release. The removal of invasive exotic weed species also allows for native species to re establish. Blue-Green algae’s are widespread in many lakes and rivers in New Zealand, and are found in a wide range of water quality conditions, including relatively ‘clean’ waters.Under favourable conditions, blue-green algae cells can multiply and form blooms in lakes or thick mats attached to river and stream beds. Some species produce natural toxins called cyanotoxins which are a potential threat to people and animals if present in drinking water or if people and animals come into contact with the water during recreational activities. 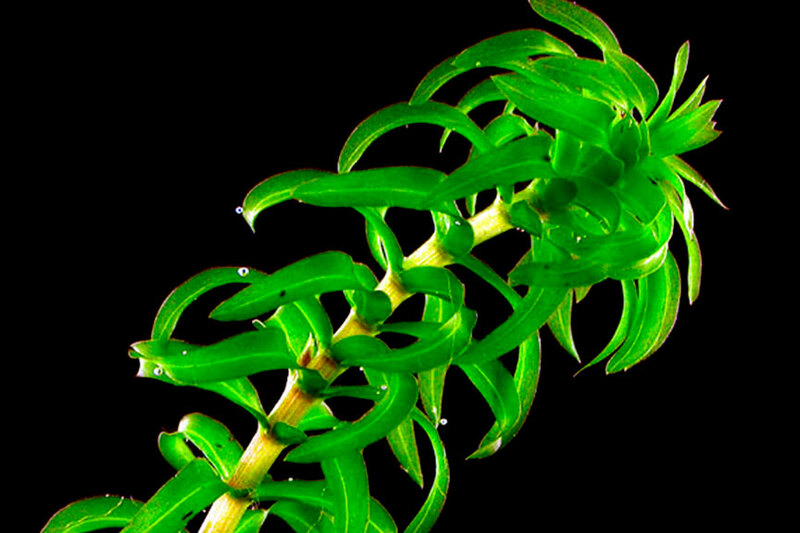 Favourable conditions for these algaes is based on the right combination of warm temperatures, sunlight, low or stable river flows, and nutrients. 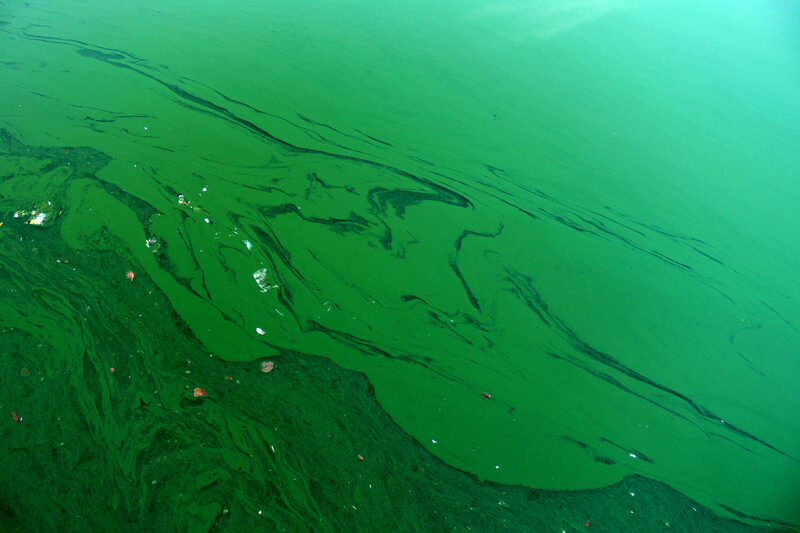 The occurrence of mats or algal blooms is a natural phenomenon but human activities, such as agricultural nutrients entering waterways, can make things worse. 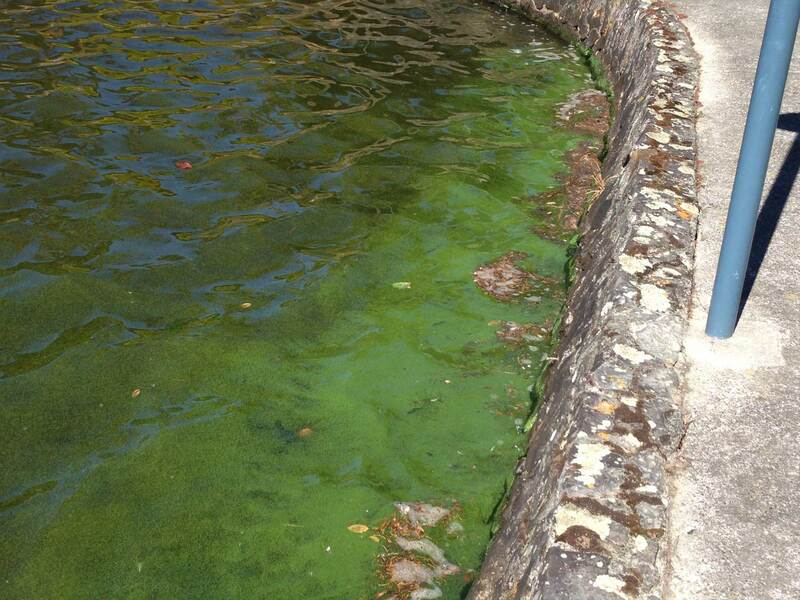 Toxic algae species include: Cyanobacterial micorocystis spp, Anabaena spp, Kirchneriella spp. 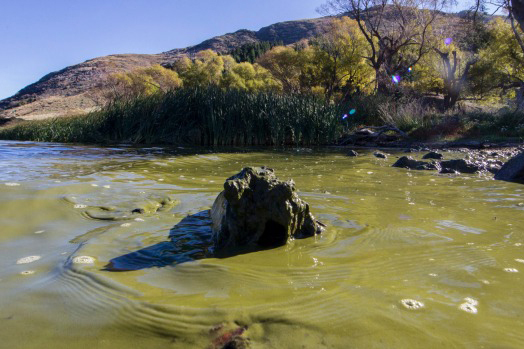 Many of New Zealand’s fresh waterbodies are suffering from these algae’s such as seen in the Wairarapa & Hutt Rivers. NZWR utilizes a relatively large planktivorous species of fish known as Silver Amur for the eradication of aquatic algae. 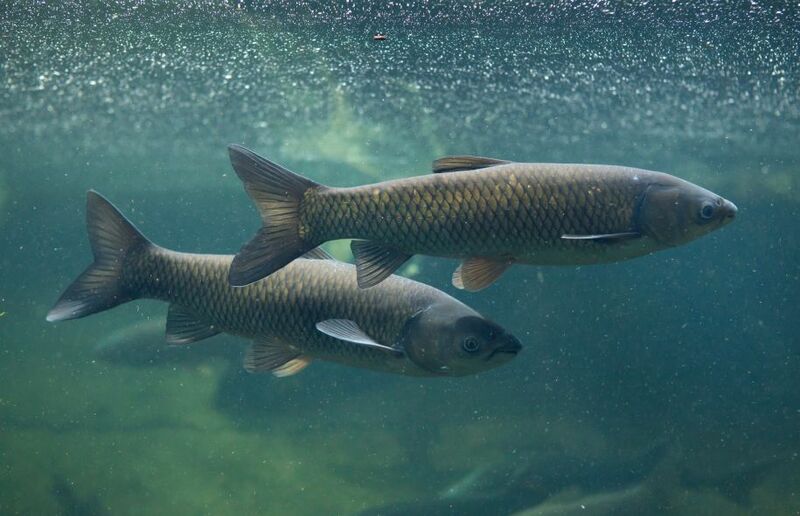 Although Silver Amur are an introduced species from China they are classified as a restricted fish, not a pest fish. As they cannot breed in NZ waterways, do not bottom feed like Koi Carp and eat phytoplankton they pose no real risk! Silver Amur provide a simple, cost effective, long term solution (generally living for around 20 years) for combating algae’s. With effective management of Silver Amur stocking rates, algae can be removed from water bodies in a time-frame that is suitable to the objectives and budget of your release. Unfortunately because of our sparse native fish fauna, a large number of undesirable species have been introduced. 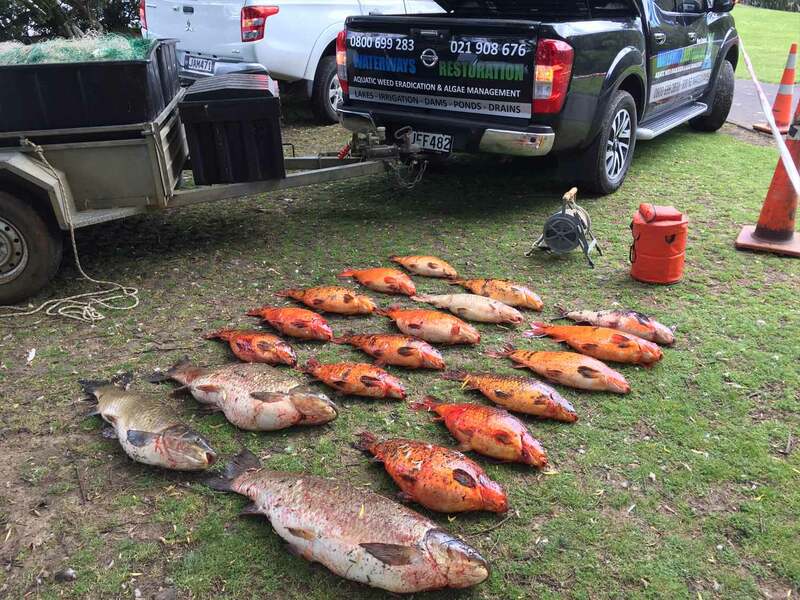 Koi carp, wild goldfish, and the brown bullhead catfish are nationally undesirable with other species such as Rudd, Tench, and Redfin Perch having different status’s across differing Regional Councils. Koi feed like a vacuum cleaner stirring up the bottom, muddying the water (depleting oxygen levels) and destroying native plant and fish habitat. Koi consume a wide range of food, including insects, fish eggs, juvenile fish of other species and a diverse range of organic matter. Bullhead catfish (Ameiurus nebulosus) were mistakenly introduced as channel catfish into New Zealand in the 1870s. They are a robust fish with distinctive whisker-like barbels, sharp spines and grow to around 30cm in length. Unfortunately they stir up sediment and prey on any native fish or animal that they can fit in their mouths. Pest fish such as Koi Carp (Cyprinus carpio) native to Asia and Europe were introduced to New Zealand accidentally in the 1960’s as part of a goldfish consignment. Coupled with human intervention introductions have occurred elsewhere which the Department of Conservation believes was for the purposes of coarse fishing and for ornamental purposes in amenity ponds. 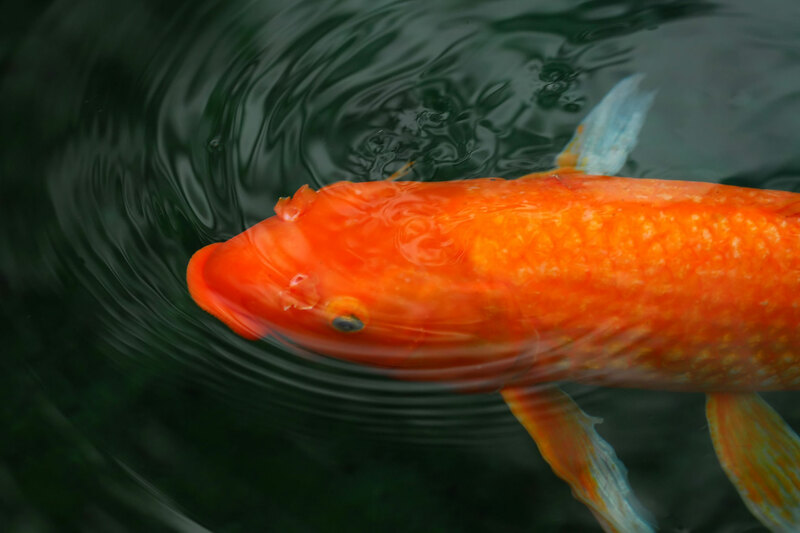 Koi carp are opportunistic omnivores, which means they eat a wide range of food, including insects, fish eggs, juvenile fish of other species and a diverse range of organic matter. Bullhead Catfish (Ameiurus nebulosus) were mistakenly introduced as Channel Catfish into New Zealand in the 1870s – for the purposes of food. 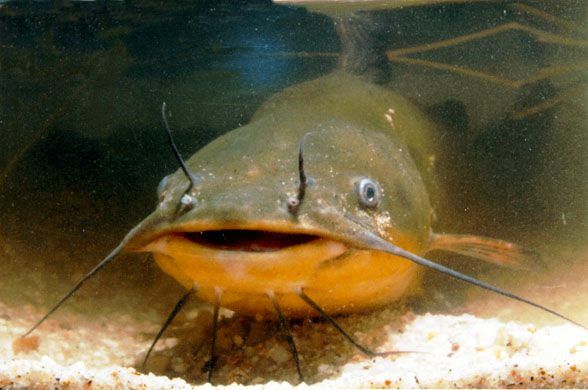 Bullhead Catfish look similar at juvenile ages yet never grow on to become a viable food source. Bullhead Catfish are robust fish with distinctive whisker-like barbels (feelers). They have sharp spines at the front of the pectoral and pelvic fin and grow to around 30 cm in length. Unfortunately they stir up sediment and prey on any native fish and koura (native crayfish) that they can fit in their mouths. Like Koi Carp, all catfish must be killed on capture and not returned to the water alive. 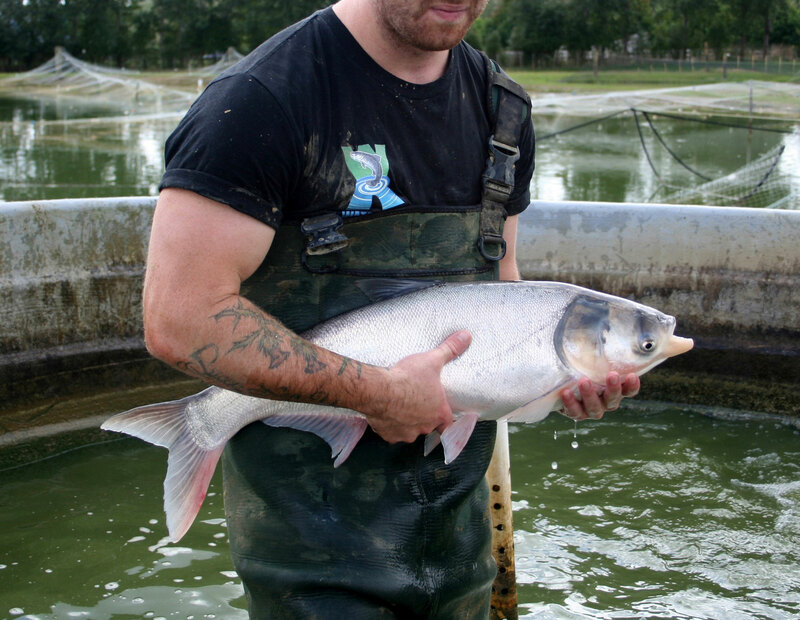 NZWR has developed and employs a wide range of techniques for removing pest fish. Most commonly pest fish removals are achieved through a combination of netting, traps, baiting and electric fishing machines. Specialised netting designs and techniques have also been developed to catch fish to ensure minimal damage to all species captured. 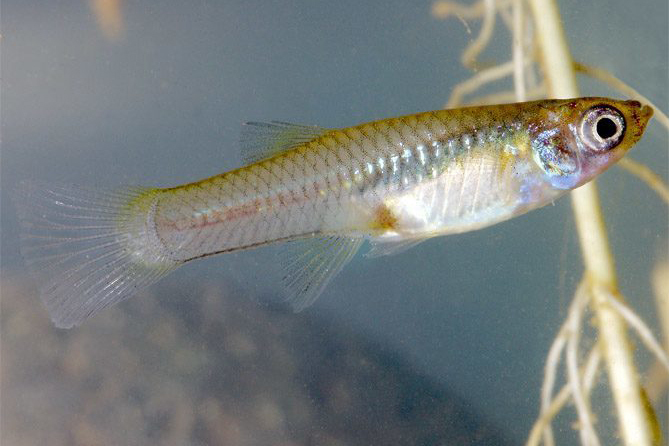 The pest fish species can be separated and the native and other desired species returned to the water way with minimal impact/damage. The mesh sizes used are too large for the majority of native species. The NZWR netting technique is capable of removing up to 90% of the pest fish from the water body. The second phase of pest fish removal (to remove the remaining 10%) is a pelletised feeding system where the fish are trained over a period of weeks (between 2 – 3 weeks). The fish are concentrated in an area through feeding species specific pelletised feeds. NZWR’s current pelletised feeds have been designed to retrieve White Amur. However these formulations are available to capture other fish species such as Koi Carp. The feeding system can potentially incorporate toxicants (piscicides) if required. Automated feeding systems have been developed to train the fish to feed in a concentrated area.